Advancement in control technology has come a long way since relay logic and early generation microprocessors. 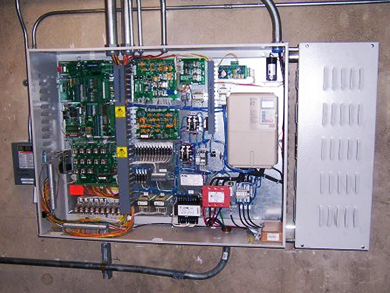 Installing a modern controller will improve safety, performance, reliability, serviceability, and for traction elevators, energy efficiency. For grouped elevators, dispatching efficiency can be dramatically improved thereby reducing waiting times. New controllers offer features, such as on board diagnostics to allow faults and malfunctions to be quickly identified and corrected with minimal system disruption, programmable building traffic patterns, built in security, battery lowering, car lighting time out, remote monitoring and more. ESR offers the industry’s latest and most technologically advanced non-proprietary control products available in today’s market. 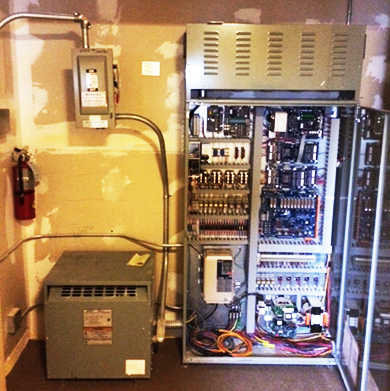 Our seasoned modernization team is available to provide a free assessment of your elevator control system. If replacement is in order, we will provide planning information complete with scope, pricing, related work and scheduling requirements.